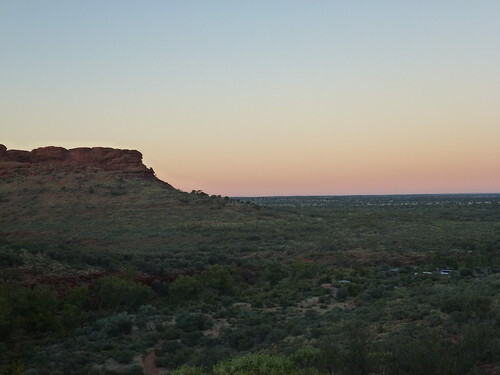 The winners of the Kiss 100 Big Outback Adventure competition got up close with crocs in Darwin and marvelled at their first glimpse of Uluru. 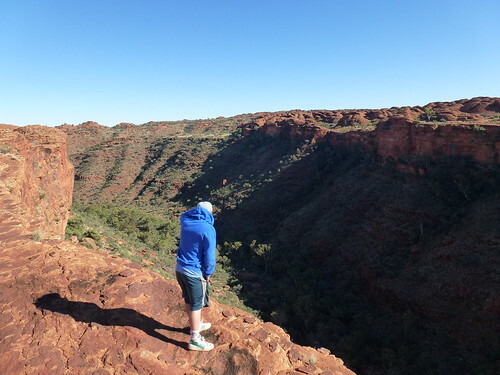 Next on the agenda was a rather daunting climb of King's Canyon, formidably known as 'Heart Attack Hill'! As we pulled into the campsite at King's Canyon the evening before we would be climbing it, a red glow emanated from the rocks and lit up the tents. The next morning we were up before the sun and dressed hurriedly in warm layers to combat the sharp cold air. In the blurry morning light we approached the Canyon and took in the scale of the rock we were about to mount. "This first section is called 'Heart Attack Hill"," said Lewy, our Intrepid Travel guide, "for obvious reasons." From afar it appeared so steep I imagined us scaling it on all fours. 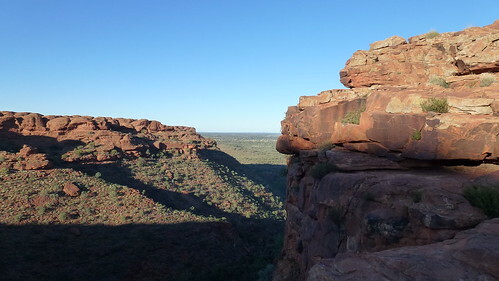 Up close, however, I could see a clear footpath, tall steps etched into the rock. Lewy advised us to break the climb down into three parts, at least in our heads. The first would be the worst she said, followed by an easier second and then finally the last part would be a breeze. Unconvinced we set off on our ascent. 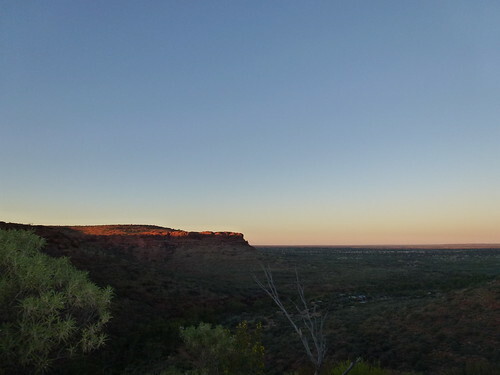 A mild sweat and three sections later, the group gathered at the top of the Canyon and turned around to watch the sun rise over the outback below us. The trek we had begun loops around the top of the Canyon, allowing you to get up close with the unique geology and plant life found up there, as well as take in the mesmerising views. It was fairly cold at the top as we were exposed to the wind, so we hurried to reach the areas in the sun, which was now rapidly rising and warming the air. Almost every corner we turned provided jaw dropping views and picture perfect moments. 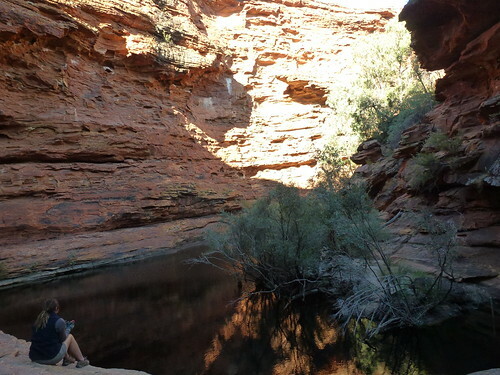 After posing for some epic shots at the top of King's Canyon we followed a path down into the centre and found a serene watering hole named the Garden of Eden. 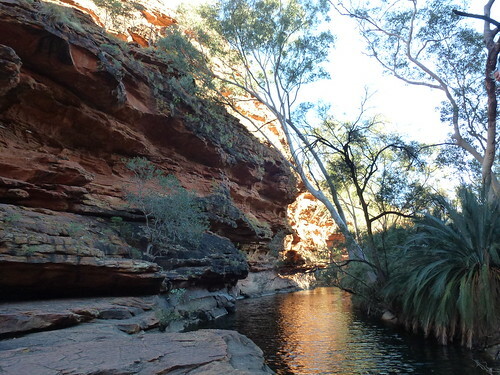 Our guide, Lewy, took the chance to have a quiet moment to herself. 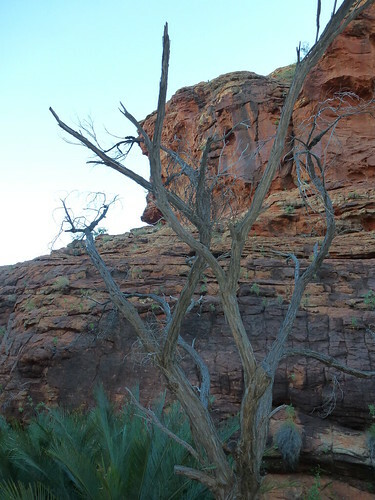 Towards the end of the trek we gained an overview of the whole Canyon which included insight into how it was formed. 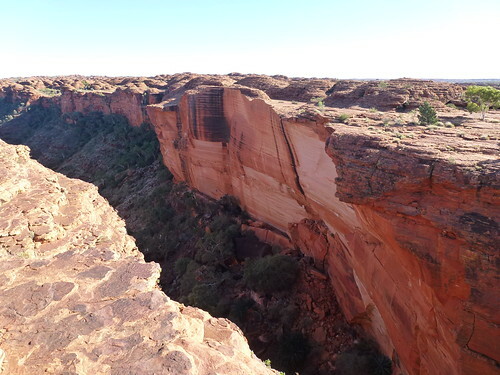 The layers of rock revealed that the Canyon was originally made of white rock, not the red colour it is now famous for. Our three hour hike had passed in what felt like a matter of minutes, we were so swept up in the views and enchanting landscape. 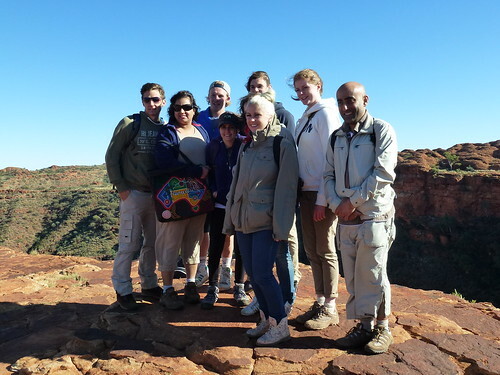 The Big Outback Winners gathered for one last group shot over the Canyon - a sight all agreed was one of their favourite and most memorable parts of the Outback Adventure. 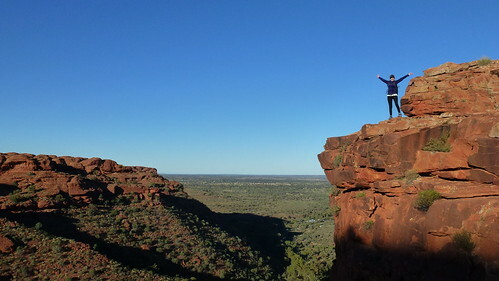 Adventure tours in Australia's Northern Territory start from just £239. Call 0208 045 4186 or visit our Aussie Experts in store to book.